My latest column in the Ottawa Citizen and Calgary Herald is on inflation and why we should care about it. Maybe not today, but perhaps soon. Countries with massive debts are always tempted to debase their currency in order to squeeze the value of that debt. Many Americans fear that the Federal Reserve’s so-called “quantitative easing” is merely code for flooding the economy with money, which will unleash inflation. You could make the case that a lot of today’s conflict among the eurozone countries is over inflation: Germans and other northern Europeans, who work hard, run a tight budgetary policy and hate inflation, fear that heavily-indebted southern Europeans will succeed in debasing that currency to ease their pain. Here in Canada the C.D. Howe Institute has just published a paper arguing that we have been understating the rate of inflation at least since 2009, when house prices started a strong rise. This they put down chiefly to StatsCan’s inflation measurement basing housing costs on the costs associated with owning a home, not on the rising costs of the house itself. By C.D. Howe’s suggested revised measure, inflation may have been1 percent higher than we thought in recent years. That’s likely overstated, but let’s take it at face value just to see what it means if true. You might think that an extra 1 percent doesn’t sound like much. But you might want to reconsider that view. Unfortunately Canadians have been lulled into a false sense of security by the policy of the Bank of Canada that “targets” an inflation rate of 2 percent. That sounds like a low rate, but even low-sounding rates over long periods add up to a lot. Consider that someone getting a fixed-income pension would see their purchasing power eroded by over 30 per cent over the course of a 20 year retirement at an inflation rate of 2 per cent. See how you feel getting a third less for your dollar when you are not in a position to increase your income. Now add a one percentage point rise to that inflation rate. What happens to the value of your pension over 20 years? It would fall by nearly half (45 percent). Even at an inflation rate of 1 percent the value of your pension falls by a fifth. Lest you think, by the way, that inflation is simply the human condition, a chart showing inflation for the British pound since 1750 shows that minimal inflation is actually the historical norm, and it is only in the modern era that we have become inured to high inflation. Granted we have seen off the double-digit rates of the 1970s and 1980s, but that doesn’t mean that 2 percent (the target since the Mulroney days) is “low inflation.” As economist David Laidler has shown, the effect of the first 15 years of the pursuit of that policy was the value of the dollar fell by a quarter. Interestingly the 2 percent target was originally sold as a mere down payment on progress toward “price stability,” defined as inflation of “clearly less than 2 per cent.” We were supposed to get that by 1995. We’re still waiting. Should we care about higher inflation? Absolutely. Politicians are drawn to inflation for a number of reasons, and that puts them in a conflict of interest with the average person who depends desperately on the value of his or her money remaining stable. That’s why we have evolved a system of central banks that are independent of politicians, and whose job is to protect the value of the currency—up to a point. As I’ve already pointed out, 2 percent inflation, which has long been the target, is not low inflation at all. And in the world’s desperation to re-start economic growth, both politicians and central bankers are going to be deeply tempted to allow more inflation. But we should never forget that inflation is a radically anti-poor policy and that the greatest beneficiaries of the defeat of the rampant inflation of a lot of the postwar period were people on low and fixed incomes. If you doubt this proposition, there is a celebrated 2000 paper by Aart Kraay and David Dollar who show, among other things, that low inflation is “super-pro-poor” because high inflation is more harmful to the poor than to the economy overall. If I were a Canadian politician, I’d be less tempted to inflate away my debts as I thought about the huge Boomer generation moving into retirement, most of whom — with the exception of those lucky few with gold-plated public sector inflation-adjusted pension plans — will be facing fixed incomes and a stiff implied loss of purchasing power just under current policies, let alone higher inflation in future. Never forget that pensioners vote, massively. Boomers have a way of getting what they want, and low inflation will be ever higher on their list. September 4, 2012 – Suffering from Breakup Anxiety Syndrome due to the Quebec election? The cure is at hand: See my column for the Ottawa Citizen and Calgary Herald below. That was the advice famously offered by Aislin in a Montreal Gazette editorial cartoon the day after René Lévesque’s PQ swept to power for the first time in 1976. Alas, we did not take his sage advice, but it is not too late to get some help for our national Break-up Anxiety Disorder (BAD), especially given the prospect of a Parti Québécois victory in today’s Quebec election. BAD sufferers will be familiar with the symptoms: the election of a nominally separatist government triggers bouts of sweaty palms and paranoid speculation about the nefarious ways in which the PQ could engineer the break-up of the country against the will of both Canadians and Quebeckers. BAD might not be too serious if it stopped at paranoid fantasies. Unfortunately it usually goes on to manifest itself as frightened and increasingly desperate attempts at self-harm. Examples are attempts to buy the loyalty of Quebeckers through ill-considered constitutional amendments, spending sprees, watering down of federal authority and the distortion of justified linguistic equality into abusive privilege for speakers of one official language. Of course the attempts always fail, because since loyalty by definition cannot be sold, it cannot be bought either. But then that’s part of the definition of insanity: doing the same thing over and over again, expecting different results. BAD shows itself in other ways too. For example, anyone who does not share the sufferers’ view that the future of the nation is being played out in Quebec, and that that province’s population are always a hair’s breadth away from demanding the end of Canada, is dismissed as deluded at best, bigoted at worst. According to the latest medical research, such demonization of non-sufferers was perhaps sensible and rational back when separatist Quebec nationalism first reared its ugly head in the 1960s. Mailboxes were being blown up, the president of France was openly urging a Québec libre, a British diplomat was kidnapped and a Quebec cabinet minister assassinated. Canadians were frightened, Quebec’s mood opaque. The idea that Quebeckers might be on the verge of slamming the door on the way out seemed all too credible. Since then, however, PQ governments have come and gone, always with mandates well shy of “winning conditions.” The BQ blossomed and wilted in its turn. We have been through two referenda where, despite the PQ picking the timing and ambiguous and dishonest questions, Quebeckers have consistently declined to sign up for the separatist adventure. Now instead of the uncertainty of the febrile Sixties, we have the certainty of the Supreme Court of Canada confirming that separation can only take place by negotiation within the framework of the rule of law. That means a constitutional amendment, and that means that Quebec cannot leave unless the rest of the country agrees. We also have the Clarity Act which requires a clear question and other conditions for a referendum to trigger negotiations. A series of court and other decisions have confirmed Aboriginal rights that mean much of Quebec’s territory may not be theirs to take. Finally, we have the sad pass into which the Quebec economy has fallen as a result of political uncertainty, ruinous taxation, extravagant borrowing, a corrupt and bossy state and much else besides. An independent Quebec’s standard of living would take a knock that would make all but the most nationalist voter think twice. In other words, Quebec isn’t going anywhere, but BAD sufferers encourage Quebeckers to act as if they were. BAD, of course, exists in a destructive co-dependency with Separatist Agitation Disorder (SAD) sufferers, who manifest a Freudian complex called Nation Envy. SAD sufferers believe Canada is a vast conspiracy to deny them their nationhood. SAD’s chief manifestation is repeated puerile attempts to act in such a disagreeable way that they don’t need to leave, but will instead be shown the door. Or, failing that, they hope that by constantly upping the ante in their demands for appeasement they will create a sense among Quebeckers that their demands can never be satisfied and they should leave. Fortunately, while there may not be a definitive cure, these disorders can be managed. Instead of showing fear in the face of threats, be calmly confident in the superiority of Canada compared to the real alternatives. Stick doggedly to the rules, treat Quebeckers with the respect due every Canadian, avoid special treatment for SAD sufferers that won’t pacify them and creates resentment elsewhere. Don’t be goaded into high profile, high stakes negotiations with SAD sufferers who have an interest in making them fail. Avoid the grand gesture and panicky “concessions”; focus on small incremental improvements to the country based on their merits. The good news is that BAD/SAD co-dependency can be broken. But the indispensable first step is to admit you have a problem. July 28, 2012 – Premier Christy Clark’s recent demands to receive its “fair share” of the proceeds and improved environmental protections from the proposed Northern Gateway pipeline is the latest example of nation-building being held hostage to local interest. The fact is that Ottawa has the sole power to authorize this pipeline and the courts will take a dim view of a province trying to achieve indirectly what the Constitution denies it the power to do directly. Click here to read my Ottawa Citizen and Calgary Herald column on the topic. Regardless of short-term ups and downs, Canada’s resource economy is booming as never before. Industrialization and urbanization, chiefly in Asia, will be the unstoppable engine driving the world’s appetite for our resources. This should be an opportunity for all Canadians, but especially for many aboriginal Canadians who inhabit the land surrounding the mining and energy projects underway or planned across the mid and far North. In fact this new resource-based wealth could be the key to progress in ending the shameful plight of too many First Nations people in Canada. To do so, however, we are going to have to change behaviour and expectations on both sides of the aboriginal/non-aboriginal divide. Happily, this is far from being a distant and improbable prospect. We can already discern the new shape of the relationship. Indigenous conflict with resource developers is hardly new. Since the arrival of Europeans, mass evictions, pollution and social turmoil related to resource wealth have been facts of indigenous history. In one of the most profound changes in recent Canadian history, however, aboriginal people are now poised both to shape and capitalize on the wealth-producing possibilities of resource extraction. We don’t appreciate the positive significance of what has happened because too many of us are still stuck in the politics of confrontation of the 1980s and 1990s. Then indigenous leaders fought for political attention, constitutional guarantees, redress of historical grievances, land claims settlements, self-government and resource rights. That generation of indigenous leaders was hugely successful, and changed the country in the process. Moreover, the Supreme Court has decreed governments and mining companies have a duty to consult aboriginal people before proceeding with development projects. Like it or not, indigenous peoples will henceforth be major players in Canada’s resource economy. In other words, Canada has said “yes” to many of the demands of indigenous Canadians. But the most important — and subtlest — change has taken place inside aboriginal communities. A new generation of leaders preoccupied with economic progress has emerged. First Nations and Inuit communities across the country have set up development corporations, joint venture companies with resource firms, locally and community-owned businesses, and consulting operations. Hundreds of aboriginal students each year attend college and university programs, studying everything from business to engineering, the mining trades and environmental remediation. Thousands of aboriginal people now work in the resource sector, with the numbers swelling yearly. The new realities have also penetrated the corporate boardrooms of the land. Companies are increasingly moving beyond minimum legal requirements, developing substantial partnerships with First Nations and Inuit communities, realizing that such actions are not feel-good window-dressing but sound business practice. Companies that engage thoughtfully and respectfully with indigenous communities and governments can speed up their projects, secure a trainable local workforce, improve company-community relationships, collaborate on environmental protection and get more local economic impact from resource development. Significantly, the Canadian Council of Chief Executives recently called on governments in Canada to get with the program. While confrontations and difficulties are still common — just think the Ring of Fire in northern Ontario and the Enbridge Pipeline — there are many more instances of indigenous co-operation with resource companies. Blockades may be news, but the new joint ventures, long-term training programs and successful indigenous businesses are what will reshape our common future. Efforts by Suncor and Syncrude in the oilsands, Cameco in Saskatchewan, the innovative diamond mine collaborations in the Northwest Territories and the path-setting Baffinland project in Nunavut will ultimately alter Canadians’ view of indigenous participation in the resource sector. The fundamentals of indigenous political and economic life have started to shift. So much remains to be done to alleviate poverty, community dysfunction and suffering, and cultural and language loss, though, that many of us overlook what First Nations and Inuit people have, in partnership with Canada, accomplished in recent decades. Resource issues played a significant role in the debates leading up to this week’s Assembly of First Nations elections. All of the contenders for national chief made it clear that they expected First Nations people to get better returns from future resource development. The election, however, will likely only change the speed, not the trajectory, of indigenous engagement with mining and energy projects. Aboriginal leaders have started to learn to take “yes” for an answer; Canadian governments and businesses are prepared to work with First Nations and Inuit governments and communities as partners in development. 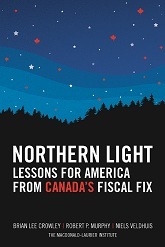 Our new-found resource wealth confronts Canada with a rare conjunction of urgent need and remarkable possibilities. Many (but not all) First Nations and Inuit communities want to participate in the resource economy, provided that the terms are right. Many (but not all) indigenous leaders are forging new and mutually beneficial arrangements with companies to produce jobs for their people and wealth for their communities. Canadian law compels engagement with aboriginal peoples and their governments. Economic self-interest surpasses even these legal obligations. If First Nations and Inuit leaders stay the course, and continue their collaborations, if resource companies keep their commitments and sustain their engagement, and if governments support this unprecedented pattern of co-operation, the socio-economic calamities that have so long defined Aboriginal communities could start to give way. For years, indigenous leaders have railed against the soul-destroying elements of welfare dependency and abject poverty. The 21st-century resource boom holds the potential to set all Canadians, aboriginal and non-aboriginal alike, on a new more promising path. Ken Coates is Canada Research Chair in Regional Innovation at the University of Saskatchewan and Brian Lee Crowley is managing director of the Macdonald-Laurier Institute, a public policy think-tank in Ottawa. June 30, 2012 – It is time to call foul – or maybe that should be fowl – on the arbitrary power that agricultural supply management grants to powerful interests to reward their friends and punish their opponents. In my latest Ottawa Citizen and Calgary Herald column, I use the case of Jimmy Lee and his partner, owners of CAMI International Poultry Inc. in Welland, Ontario, to explain how supply management shuts out innovators. The column also appeared in the Vancouver Sun and is copied below. Time to call foul — or maybe that should be fowl — on the arbitrary power that agricultural supply management grants to powerful interests to reward their friends and punish their opponents. Supply management restricts both domestic production (through quotas and licences) and international imports (through tariffs), of things like milk, cheese, eggs and chicken, allowing producers to control prices by manipulating supply. When even a candidate for the leadership of the Liberal Party of Canada, Martha Hall Findlay, is promising to sweep away supply management because it is in effect a regressive tax on food that harms low-income consumers to benefit well-off farmers, you know that supply management is on its last legs. Virtually every independent observer agrees Canada is losing influence in international trade negotiations because of Ottawa’s stubborn insistence on defending supply management. Our potential trading partners in arrangements like the Trans-Pacific Partnership find unacceptable that Canada slaps tariffs (i.e. taxes) of 200 to 300 per cent on their exports to this country of dairy, eggs, poultry, etc. to protect supply management. They’re right to be outraged. We should be seeking markets in their countries, just as they seek markets in ours. All that is damning enough. But few people understand the arbitrary power that supply management confers to harm law-abiding businesses simply carrying on their trade. Like flies to honey, the power to rig the market that supply management represents draws big producers and processors together in an unholy alliance to exploit their power at the expense of everyone else. Consider the case of Jimmy Lee and his partner, owners of CAMI International Poultry Inc. in Welland, Ontario. Lee is a typical immigrant success story. Born in Trinidad of Chinese extraction, he came to Canada to help get a family poultry business going. He started out slaughtering chickens in Toronto’s Kensington Market. His entrepreneurial eye spotted an important market niche in Canada: the many thousands of Chinese immigrants who prefer fresh chicken prepared Hong Kong style. But of course Lee cannot just go out and buy chickens in the marketplace to keep his business supplied. Oh no. This is Canada, remember? He had to learn to navigate the ins and outs of the chicken supply management system, which he did remarkably successfully. He managed to get “permission” (the mind boggles!) as a “new processor” to buy live chickens which he did not only in Ontario, but also across the border in Quebec. He built a large processing plant in Welland. He was buying as much as a million kilos of chicken every six weeks. He was the success that Canadian freedom makes possible to so many newcomers. But in the supply management business, freedom and success are apparently bad things. He and a few other innovative processors were so successful and built up such a new clientele that they were driving up the price of chickens. Because supply management, by definition, works by restricting supply, the market could not adjust by simply raising more chickens. The big established processors didn’t appreciate the fact that their costs were rising. The Canadian solution? Surely it is obvious: first, you get the Ontario and Quebec marketing boards to work out a deal to limit cross-border trade in chicken. Yes, you read that correctly. In Canada, supposedly a single country with a commitment to free trade among Canadians, the border was slammed shut. A Quebec court gave that deal the thumbs down. Undaunted and unashamed, the marketing boards, processor associations and provincial agencies that oversee the industry have agreed to stop all cross-border trade in live birds as of this autumn. After that, Lee will be unable to buy chickens in Quebec. His business will be kaput. Curiously, every other processor who was buying Quebec birds will now be supplied by Ontario producers. Not Lee. The groups who have stitched together this scandalous deal have decreed he shall not be supplied. And now, according to agriculture journalist and blogger, Jim Romahn, the report of the committee named by the industry and the Ontario government to advise on how the industry should be managed — including the cross-border trade ban and refusal to supply Lee’s company — is being almost entirely censored by the provincial agriculture department. In other words, we are not even allowed to hear the arguments justifying this egregious abuse of power. Surely they must, at a minimum, have some comic relief value. So let me see if I have this straight. Not only does supply management cost the country dearly in terms of lost economic output and innovation, and cost low-income families on average $350 a year, while depriving the country of trade opportunities. It is also handy for punishing those in the industry whom established interests find disruptive. Only in Canada you say? Pity. Thirty two years. It has been 32 years since Pierre Trudeau’s infamous National Energy Program. Yet the evil that men do lives after them, often in unexpected and surprising forms like, say, Senate reform. The NEP, which brought to a crashing halt an unprecedented energy boom in Alberta, cemented the alienation of Western Canadian voters from the Liberal Party. But the Liberals believed they had a political winner. The votes were in central Canada, and Trudeau sought to buy their political support with cheap energy strong-armed from the West. A little understood result, however, was a settled conviction in Alberta, and the West more generally, that they could never win the political argument in Ottawa. The deck was simply too heavily stacked against them. To the injury of the NEP was added the insult of Quebec’s perennial dominance, the long-gun registry, EI abuse, deficit financing and the seeming immortality of the Canadian Wheat Board, to pick a few key irritants. In other words, Western Canadians were, and were seen to be, political losers. Their ideas just never seemed to carry the day. Losers at politics almost invariably seek solace in gimmicky institutional reform. Since we can’t win under the current rules, runs this refrain, there must be something wrong with those rules. And so arose the great myth of Senate reform. The West craved a new institution so powerful, and yet somehow immune to the politics of the Liberal Party and the Quebec-Ontario axis, that through it the Western tail could wag the Canadian dog. Let me, in the nicest possible way, point out that the two premises on which the West’s Senate reform arguments are based are wrong. And not just a little wrong. They are spectacularly, pyrotechnically wrong. Let’s take the premise that the West is a political loser. Surely this is now self-evidently nonsense. All those things that so irked Reformers, that led them to storm the Ottawa barricades, demanding that their region be admitted to the country, those things, by and large, no longer exist. The long-gun registry? Gone. Quebec’s predominance? Gone. The Wheat Board? Gone. Deficit financing? Almost gone again. EI abuse? Going. The NEP? Long, long, long gone and judging by the reaction to Thomas Mulcair’s musings about Dutch disease, the oaken stake in its heart is there to stay. Even the Liberal Party, the architect of so much that alienated the West, lies broken and bleeding, a mere shadow of the party that bestrode this country for a century. The intellectual momentum behind the Conservative government comes more from Alberta than any other province. The Prime Minister is a former Reformer and represents a Calgary riding. In the recent Alberta election, the party that revived talk of hunkering down behind defensive firewalls to keep out Ottawa’s corrupting influence was handily defeated by a party eagerly engaged in spreading Alberta’s influence across the country and internationally. Yet the old loser’s reflex is hard to shake. A puerile commitment to an ill-conceived Senate reform continues to disfigure the West’s otherwise maturing Conservatism, like those tattoos that seemed so cool when you were 15 but you now try in vain to hide from your own teenagers. Not that I mean to imply that Alberta will now and forever more get its own way. Sometimes it will win its point, and sometimes not. The point is different: the politically mature understand that you win some and you lose some, and a long losing streak is not a reason to change the rules; it is a reason to up your game. Now what about this premise that Senate reform could ever be the instrument by which a defensive Alberta could defeat the clear political wishes of the rest of the country? Au contraire. A little simple math should be sufficient to dispel this idea. For example, on EEE Senate (equal, elected, effective), or even a reformed Senate that left the current distribution of seat untouched, would entrench a permanent majority composed of equalization-receiving provinces in a newly powerful institution. Reform would permanently empower the transfer-seekers Albertans have always excoriated, while condemning the West to permanent minority status at precisely the moment when its population growth and economic dynamism are giving it unprecedented political weight. What was the reason given by New Brunswick Premier David Alward the other day for bringing forward legislation authorizing Senate elections in his province? Electing Senators will strengthen New Brunswick’s voice in Ottawa where the province is being increasingly overshadowed by the burgeoning Central and Western Canadian provinces. QED. Ironically Alberta’s big idea, Senate reform, would be a tragic mistake from conservatism’s point of view, and one that Albertans would come bitterly to regret. This is just another instance of an important but sadly neglected maxim: solutions are the chief cause of problems. Brash Texas oil billionaires and Saudi princes have forever fixed in the minds of people the idea that oil and gas wealth is synonymous with the high life. Canada now has the second or third largest oil reserves in the world? Let’s whoop it up! Before we fire up the cheque-writing machine, though, there are two things we should ponder. First of all, natural resource revenues are not like income or sales taxes, which are genuine income; they flow from the endlessly renewed efforts and activities of our people and companies. But non-renewable natural resource revenues come from the sale of a finite resource. When the oil and gas and copper and iron and diamonds are gone, they are gone. So when we sell these resources, it is a one-time deal. Nature is not putting new oil and gas under the prairie or minerals under the mountains. Those of us alive today are merely the stewards of those resources on behalf of their owners: all present and future citizens. We therefore have a moral and a prudential obligation not to treat this money like some windfall, to be blown on consumption today, but as assets to be managed wisely for the future. To use the ugly language of accounting, the sale of natural resource assets doesn’t belong on the income statement. It is a balance sheet transaction. Selling natural resources creates no new value. The government that owns the resource has simply changed it from one kind of asset (the physical resource) into another kind of asset (cash). And everybody knows if you sell your assets, like your house or your RRSP, to pay your bills, soon you have no assets but the bills keep coming. If you invest those assets, however, you can spend the returns they generate each year, or reinvest them to create even more. It is also perfectly in order to use the money to reduce debt. Suppose that a government is paying eight per cent a year on its debt. Servicing $1-billion worth of debt would cost $80-million a year, year after year. Pay off that $1-billion debt and the money that was going on interest is now reliably available to sustain new spending or reduce taxes, every year. Over 20 years you’d have an extra $1.6 billion to spend. So when this week the environmental think-tank the Pembina Institute became the latest group to suggest that we should use some share of the revenues from the sale of oil and gas to build up an investment fund, they are on solid ground. Norway, the country that best manages its natural resource revenue, has done so with great success. Where the Pembina folks are shakier is on whom such a Canadian fund should belong to. The Constitution is crystal clear that natural resources belong to the provinces (although it increasingly looks as though aboriginal people may contest this notion with some success). The stewards of our natural resources are provincial governments. Moreover, it is the provinces who own the asset (the natural resources) and who sell it in return for a royalty. Ottawa is no party to this transaction, and it would likely cause a political and constitutional crisis were Ottawa to seek to capture a share of the sale of those assets for a federal fund. This is a job for the provinces. Former Alberta Premier Peter Lougheed got this when he created the Alberta Heritage Fund. Ralph Klein used resource revenues to pay off the province’s debt. But subsequent governments have returned to debt and profligacy. That brings us to the other thing to remember about non-renewable natural resource revenues. They are, as former Alberta Treasurer Jim Dinning once famously observed, non-reliable revenues. Most government spending goes on salaries for employees who provide public services and on transfers like welfare payments, pensions and the like. The cost of these things only goes in one direction: up. Natural resource revenues, by contrast, gyrate wildly. The temptation, when prices are high, is to pretend those revenues will always exist, causing a cycle of booms and busts in public finances. Moreover if you acquire recurrent obligations on the basis of one-time asset sales, an inevitable day of reckoning comes. The natural resource is gone and you have a lot of public servants you can’t pay and a lot of people reliant on public services you can no longer afford. This problem is resolved by using the money to pay off debt and then investing the rest and only spending the fund’s returns. That still leaves the problem of how to prevent politicians “investing” the fund on their latest cockamamie scheme (putting unsightly wind turbines underground perhaps? ), but the Norwegians manage. Surely we can as well. Critics of the federal government’s plan to press workers on employment insurance (EI) to accept available work remind me of Captain Renault walking into Rick’s Nightclub in the film Casablanca. They are shocked — shocked, mind you — to discover that there is gambling going on in this establishment. Renault knew perfectly well what was going on in Rick’s; he was a regular there himself. But it became a convenient excuse when he needed to close the place down. Where EI is concerned, the critics are shocked at the suggestion we might need EI reform because after all, highly qualified engineers shouldn’t be forced to sling fries at minimum wage. True. But it is also a herring of the deepest red hue. We need EI reform to end the shameful damage it has caused in many communities, particularly throughout eastern Quebec and Atlantic Canada. Having lived in that region for 20 years, I saw the damage close up. This is what it looks like on the ground: A friend of mine moved from B.C. to Lunenburg and got a job in a restaurant. She was stunned to learn the restaurant closed outside the tourist season. The owner said it wasn’t because she didn’t want to stay open, but she couldn’t get people to work in the winter once everyone was “stamped up” (i.e. qualified for the maximum annual EI benefits). My friend said she was willing to work all year long. Once word of this got out, she got calls from employers all over town fighting to hire someone willing to work over the winter. One year in Petit-Rocher, New Brunswick, the fish plant closed for lack of fish; the locals demanded a provincial make-work project until they could get fully stamped up. When the fish plant in the next town offered them work, and a free shuttle bus service to get there, the workers angrily refused — until the province told them if there was work available there would be no make-work. The Ocean Choice fish plant in Souris, PEI, has to bring in temporary workers from as far away as Russia and Ukraine in a province with one of the highest unemployment rates in the country. Immigration Minister Jason Kenney finds this inexplicable. Look no further than EI for that explanation. My wife and I owned a restaurant in Halifax and had firsthand experience of the system. People would leave us résumés and then be genuinely puzzled when we phoned to offer them work. We apparently hadn’t understood the blindingly obvious: those résumés were strictly for the benefit of the EI administrators. Don’t try to blow the whistle on these cheats to EI, though; the people who administer it in Atlantic Canada long ago became complicit in the plundering of the system. The claimant is king and the local politicians who have fought for ever richer benefits for their constituents like it just fine that way. We had applicants who would only agree to be hired if we would promise to lay them off when they had qualified for EI. They liked to do their crafts during the autumn and sell them (under the table for cash) at the Christmas craft fairs. Now you know why there are so many bad crafts in Atlantic Canada: it is your tax dollars at work. Throughout the region, many employers keep people on just long enough to get them stamped up, and then lay them off to cycle more people through the system. The social pressure to do so is enormous, because a few months’ work guarantees each person a year’s income. In all these cases it is not lack of work that has sidelined these workers, but rather a settled habit of expecting to be paid not to work for part of the year. The federal government has tried on occasion to place repeat EI recipients in full-time work, subsidizing their wages to ensure no loss of income. Those experiments failed because no one would participate. The reason? Many do not consider themselves “unemployed” when they’re on EI. Benefits are just part of their annual income. Labour shortages don’t just exist in Alberta and Saskatchewan. They also exist in towns and cities down east, where they coexist with unemployment created by a dysfunctional EI system. EI pays thousands to stay in seasonal work with little future, and to spend many months of the year idle while Ottawa must bring in temporary foreign workers. Sure, we have to be vigilant that Ottawa doesn’t go overboard, forcing people who are rarely unemployed to take jobs for which they are patently unsuited. But that improbable prospect should not prevent us from clamouring for a system that does not trap entire communities on the EI-and-seasonal-work treadmill. The status quo, not the proposed reform, should shock the conscience of the nation. Brian Lee Crowley is managing director of the Macdonald-Laurier Institute, an independent non-partisan public policy think tank in Ottawa: macdonaldlaurier.ca.